Are you a Dancer/Choreographer looking for occasional work - nothing too serious and lots of fun? 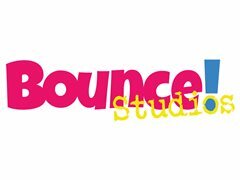 We are a Nationwide company, looking for additional ‘FUN’ dancers/choreographers to join our team in all areas of the UK. Our themed dance parties/workshops for any occasion (corporate, team building, hen parties, stag parties, birthday parties etc) are fun and cover styles such as street, burlesque, 1980’s, Single ladies, cheerleading etc. Instructors must be reliable, enthusiastic and bubbly. Our themed dance parties/workshops for any occasion (corporate, team building, hen parties, stag parties, birthday parties, 1st Dance tuition). They cover any styles of dance. Our parties are for 1.5 or 2 hours, mainly on Saturdays but can be any days/times depending on client requests.